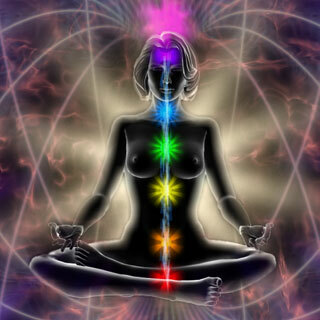 The Chakras are nucleus of consciousness and energy vortexes within the very core of our human electromagnetic system. 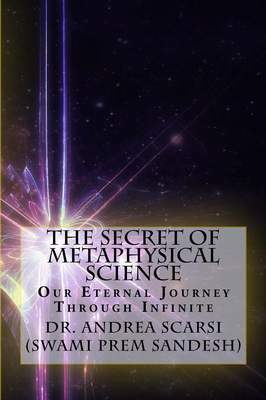 They are also defined as psychic centers since they can be felt, perceived, and seen only by the use of psychic abilities, which are the capacities of what is commonly called the third eye, our inner sense organ all-witnessing, at a 360-degree angle, all subtle inner and outer dimensions. They code and decode the micro cosmic vibration of the universal field, adjusting the harmonic intensity of incoming and outgoing frequencies, and spin around an empty, generating hub of consciousness. In number of seven, they are situated along a coexisting and parallel line at the center of the spinal cord and brain and they are linked together by a central consciousness channel called Sushumna, meaning the Penetrating Vessel, a nerve current running from the basal plexus to the crown of the head and back, consenting information inter-exchange and quantum nourishment. The alignment and optimal efficiency synchronicity of each chakra generates the personal, unified field of consciousness, the inner white light. At the establishing of this energy balance, or harmony of being, a stable field of beatific calm, peace, and truth unfolds. In it, consciousness is alone and has no more objects within itself on which focusing its attention and identification. This naturally leads it to contact itself, reflecting, and discovering itself as pure subjectivity, that which observes. The misalignment and scarce efficiency synchronicity of each chakra generates the personal fragmented field of consciousness, the inner shadow light. Disharmonies, unbalances, and clogs, besides anchoring us in the physical dimension, are means for spiritual growth and evolution. They reactivate consciousness acting as separate landmarks: consciousness first mirrors them in itself and identifies with them, then it is mirrored in them until it sees and recognizes itself as the empty mirror. Consciousness regaining awareness of itself is the first step of enlightenment. Perceiving and locating all our chakras during meditation allows us to delve deeply into the universal being, awaken our inner rainbow, and expand the frontiers of our own identity.